Monika “La Hongroise” is a cook based in the Grasse region of the South of France. Originally from Budapest, after spending a few years studying, travelling and working in South Africa, Switzerland, Belgium, the USA and the UK, Monika fell in love with France while on a two-month budget holiday with her sister in 2013, and decided to come back to pursue her career in cooking a year later. 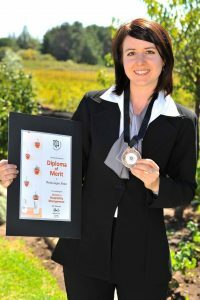 Graduated in Hospitality Management & Catering at a small private school in the Cape Winelands (South Africa) in 2012, Monika takes on cooking and catering jobs in clients’ homes and secondary homes in the South of France and the Alps.